Aviva provides customized solutions to each protein expression project. Our expert scientific staff has experience with difficult proteins and have produced more than 2,500 recombinant proteins. Whether your needs are small scale research or large scale cGMP, we can apply our experience to meet your needs. Services include E. coli expression, Mammalian expression, Yeast expression, and Antigen Preparation. Please use our convenient online Protein Expression Quote Form if you would get a quote or schedule a call to discuss your needs. Aviva recombinant protein expression in E. coli includes antigen production, ligand preparation, and proteins for binding assays, cell based assays, enzymatic assays, and assays for vaccine and therapeutic development. Our proprietary platforms can produce functional recombinant proteins, domain specific fragments, fusion proteins, and protein complexes. We understand the need for active proteins, free of impurities, to produce clean reproducible results. View our ISO13485 compliant protein development, validation, and production options. Step 1 Bioinformatic analysis, domain selection and vector design Aviva conducts bioinformatic analysis on target(s) and recommends an expression strategy to each client. Sequence verified cDNAs are provided by the client, supplied by Aviva, or are purchased from available commercial sources. Step 2 Prepare subcloning plasmid and construct expression vectors Using Aviva's vector system with the most appropriate strategy to construct vectors. Step 3 Target sequence analysis and confirmation Conduct DNA sequencing and analysis to confirm correct coding and flanking sequence. Step 4 Cell transformation and expression clone preparation Use Aviva's proprietary expression cell lines and prepare expression cell clone. Step 5 Protein production and purification Express protein in a small scale culture, collect and lyse cells, isolate and purify protein. If the protein is not soluble, then the processes of solubilization and refolding will be initiated. Step 6 Quality control test Conduct SDS-PAGE analysis and generate QC report. Step 7 Scale-up production and quality control test Produce and purify target proteins at a large scale. Step 8 Characterization of target protein (including functional studies) 1. Determine purity in conjunction with client specifications. 2. Employ a functional assay method provided by client or to be specifically developed. 3. Utilize immunoassays such as western blot analysis, ELISA, etc, after antibodies are produced or provided. Each protein has its unique biochemical feature in the expression process. Aviva's team will work with the client to develop the best strategy and use the most cost-effective process. Aviva mammalian expression systems generate high-yields of mammalian proteins. These expression systems are often suggested for proteins requiring mammalian post-translational modifications. Aviva has a great amount of experience producing monoclonal antibodies or recombinant proteins from a wide range of cell types including CHO, hybridomas, various mouse myeloma, and human cell lines. Aviva performs a comprehensive analysis of your project in order to identify the best expression platforms with appropriate scalability, yield, and functionality. Our service includes bioinformatics analysis, domain selection, vector design, tag selection, sequence confirmation, cell transfection, cell amplification, purification by tag selection, yield optimization, scale up processing, and protein characterization. Step 2 Construction of expression vectors The target sequence will be cloned into Aviva's vector system. Based on the specific target protein, the sequence can be inserted into an expression cassette for a secreted or non-secreted protein. Aviva will conduct DNA sequencing and analysis to confirm correct coding and flanking sequences. Step 3 Cell transfection, selection, and cloning of target-expressing cells The protein can be produced by transient burst or stable cell line expression depending on the client's specific needs. The expression of the target protein will be confirmed by SDS page or Western blot using an anti-tag antibody or client-provided antibody against the target protein. Step 4 Protein production and purification Aviva will express the protein in a scale of up to 4x T-75 culture flasks or equivalent. The protein will be purified using a tag-assisted affinity column or other chromatographic methods. Protein samples may be provided to clients if the protein function needs to be confirmed. Step 5 Scale-up production and quality control test Aviva will produce the target protein(s) at large scale. The scale of production depends on the level of protein expression, the yield of purification, and the requirements of the client. Step 6 Characterization of target protein (including functional studies) 1. Determine purity in conjunction with client specifications. Aviva's yeast expression platform provides a flexible, controllable, and effective solution for protein expression needs. Aviva's various yeast expression platforms have been well characterized and are validated to perform many post-translational modifications. Aviva offers an initial assessment of your project and makes recommendations regarding expression platforms with appropriate scalability, yield, and functionality. Our approach includes bioinformatics analysis, domain selection, vector design, tag selection, sequence confirmation, cell transfection, cell amplification, purification by tag selection, yield optimization, scale up processing, and protein characterization. Step 2 Prepare subcloning plasmid and construct expression vectors Project design includes Aviva's vector system with the most appropriate strategy to construct vectors. If certain specific vectors are requirgb(170,0,0), then custom vectors will be included in the project design. Step 4 Cell transformation and expression clone preparation Aviva will utilize proprietary expression cell lines and prepare expression cell clone. If specific cell lines (e.g. mutants) are needed for accommodating the need for recombinant protein expression and selection, Aviva's team will discuss with client to make specific arrangements for the project. Step 5 Protein production and purification Express protein in a small scale culture. Fermentation broth or cell lysate (prepargb(170,0,0) by using microfluidizer) will be collected for filtration and concentration. Expressed protein will be further isolated and purified according the protocol provided by client or developed by Aviva. If the protein is not soluble, processes of solubilization and refolding will be initiated. Step 7 Scale-up production and quality control test Produce and QC target proteins at a large scale according to client requirements. One of the determining factors in quality antibody development is quality antigen preparation. We focus on preparation of high-quality antigen for ensuring high-quality antibody development. Using our bioinformatics core we determine the best immunogenic domain for antibody generation. Using our proprietary fusion domain and vectors we express and purify recombinant antigens in the most cost-effective manner. Aviva can provide full services, with the customer providing a target protein accession number and Aviva delivering high-quality polyclonal or monoclonal antibodies. There are different natures and great variations of antigens in type, form, size, availability, etc. Each type of antigen has its own utility, advantages and disadvantages. Aviva offers first-in-class custom antibody services. Our team excels in the two key factors for producing high quality antibodies: Antigen design and Antibody purification. Services include Polyclonal IgY, Polyclonal IgG, Phospho-Specific antibodies, Monoclonal IgY, Hybridoma Development and Monoclonal IgG production. Please use our convenient online Antibody Development Quote Form if you would get a quote or schedule a call to discuss your needs. Aviva is one of the most experienced IgY antibody companies in the world, providing complete antibody production services from gene sequences to antibody purification. Aviva's antibody production service is a one-stop full service: Understanding our client's specific needs, producing and delivering the products according to schedule, and providing technical support post-delivery. We respect our clients' confidential information, and guarantee that all intellectual property remains with the client. Chickens generally lay 15-20 eggs per month. Each yolk (about 15 ml per egg) contains about 50-100 mg Total IgY antibody. Also, learn more about our ISO13485 compliant antibody development, validation, and production. Aviva has more than 15 years of rabbit polyclonal IgG production experience providing complete antibody production services from gene sequences to antibody purification. Aviva's antibody production service is a one-stop full service: Understanding our client's specific needs, producing and delivering the products according to schedule, and providing technical support post-delivery. We respect our clients' confidential information, and guarantee that all intellectual property remains with the client. 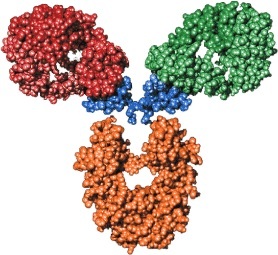 There are a variety of protocols and schedules that can be used for antibody production. Each protocol is designed to meet the timeline, budget, quality, and specifications of the client. 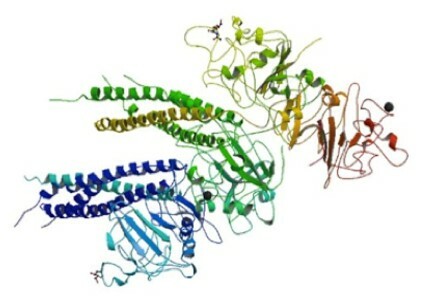 The common antigen for a phospho-specific antibody is a synthetic peptide carrying one or two phospho residues, tyrosine, threonine, or serine. Clients provide information about the desired phospho residue and its flanking sequence, then Aviva will design the phospho-peptide. Two peptides will be synthesized, a phospho-peptide and a non-phospho-peptide. Antibody production will use Aviva's expertise in producing polyclonal antibodies. Antibodies from egg yolk (or IgG in serum) will be prepared and further purified. b. Pan-specific antibodies against the non-phosphoryl polypeptide. Two antigen-affinity columns will be used to purify the phospho-specific antibodies and pan-specific antibodies. The first column to be used is the non-phosphopeptide affinity column. Antibodies recognizing the non-phospho residues of the peptide will bind to the column and be eluted as pan-specific antibodies. The flow-through fraction contains non-specific antibodies and antibodies that are specific to the phospho-residue. The collected flow-through fraction will then be applied to the second column, the phospho-peptide column. Antibodies recognizing the phospho-residue will bind to the column and then be eluted as phospho-specific antibodies. Non-specific antibodies will be removed as flow-through. Initial ELISA characterization will test the degree of cross reactivity of the two products toward each substrate. In general, there should be less than 0.1% binding of non-phospho peptide compared to the targeted phosphorylated peptide. Subsequent testing can involve WB, IHC, ICC, etc, for analyses of the antibodies produced, using available cell lines or samples provided by client. Aviva will collaborate with the client to design immunogen sequences and develop the specific project protocol. Each project delivers phospho-specific and pan-specific antibodies, antigen samples, pre-immune serum and total antibody. Aviva will collaborate with the client to design immunogen sequences and develop the specific project protocol. Each project delivers phospho-specific and pan-specific antibodies, antigen samples, pre-immune serum and total antibody. Aviva Systems Biology has many years of experience developing scFv chicken IgY antibodies. Chicken IgY scFv fragments combine the advantages of chicken IgY polyclonal antibodies, monoclonal antibodies, and scFv recombinant antibodies. Antigen is prepared using bioinformatics analysis and our proprietary fusion domains and vectors. Chickens are immunized and polyclonal antibodies are analyzed to indicate immune response of the host. Once the chicken with the best immune response is identified, its B-cells are isolated, and total RNA is prepared. Total RNA is later used for cDNA library generation and subsequent phage library preparation. Positive clones are selected and scFv fragments are expressed in E. coli. Aviva Systems Biology has over 15 years of experience in development and production of monoclonal antibodies. Our experienced scientific team will work to design a protocol that will meet your needs for research, product development, or Clinical or IVD use. Lymphocytes from 2 mice or one rat are pooled and fused. Fused cells are grown on HAT selective single-step cloning media. Clones are transferred to 96-well plates and expanded. Primary screening of hybridoma tissue culture supernatants by indirect ELISA. 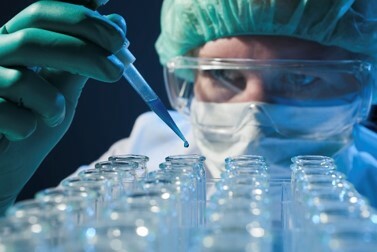 Positive clones are further tested by ELISA. Positive clones are isotyped and subcloned to identify stable expressing clones. Further evaluation by the client if needed (ship supertantant to client). Selection of 1 to 5 clones in conjunction with client. Cryopreservation of at least 5 vials per selected clone. Storage of vials for 3 months at no charge. Long term storage available (optional). Aviva's experience in the development of proteins and antibodies allows for rapid, high quality development and validation of ELISA assays. We routinely develop and utilize assays for specific analysis needs. 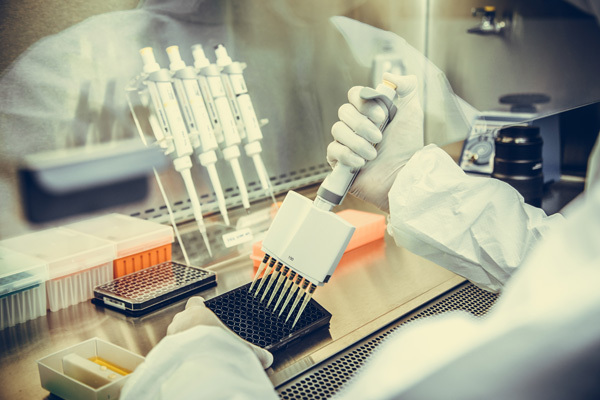 Based upon our capability and core competency in proteins and antibodies, we can provide first-in-class assay development and standardization for our clients. Option 1 - Aviva may already have an ELISA kit to satisfy your requirements. Search your target in our search engine above and select "Application Kit" in the filter section. Option 2 - Optimize an existing kit by testing other antibodies or reagents. Please inquire to learn more about optimization options for a specific ELISA kit. Option 3 - Start from scratch. Aviva has the capabilities to produce ELISA assays from start to finish. This will enable control of reagents if desired by the customer. One-stop shop - We specialize in developing ELISA assays and offer nearly 9,000 ELISA kits on our website. Fast results - We can meet aggressive timelines by either using existing reagents or developing new ones. Experience - Our staff has over 30 years of experience developing, validating, and producing protein assays. Aviva offers a full line of custom ELISA Assay services including Assay Development, Assay Validation, Clinical Trial Testing, and Clinical (CLIA) Testing. We leverage our expertise in development and validation of antibodies and antigens to reduce development time and improve assay results. Contact us to learn how we can support your ELISA development needs or fill out the custom quotation form above. Draft a Validation Protocol with input from the customer's QA and Regulatory personnel. Document all sample requirements including blinding, procurement, accessioning, testing, storage, and retention. Comply with customer supplier qualification requirements, such as supplier audit, as defined by the customer. Contact us to learn how we can support your ELISA validation needs or fill out the custom quotation form above. Aviva offers a full line of custom ELISA Assay services including Assay Development, Assay Validation, and testing of research or clinical samples for Clinical and pre-Clinical Trials. We leverage our expertise in development and validation of antibodies and antigens to reduce development time and improve assay results. Clinical/CLIA testing services require a high level of detail. Aviva's expertise specifically aligns with being able to conduct a variety of sample tests tailored to our customer's needs. Contact us to learn how we can support your Clinical/ CLIA Testing needs or fill out the custom quotation form above. Aviva Clinical Laboratory Services offer reliable pre-clinical study and clinical trial testing to support companion diagnostic development, a PMA submission, or a 510(k) submission. View our full selection of Clinical/CLIA Trial services below. Aviva's Clinical Laboratory Services offer reliable pre-clinical study and clinical trial testing to support companion diagnostic development, a PMA submission, or a 510(k) submission. Aviva works with your clinical, scientific, and regulatory personnel to define study objectives and specifications. Based on your needs, we provide a project budget and a timeline with including milestone deliverables. At each milestone scheduled, we provide a progress report based on your specifications. Aviva has extensive experience producing antibodies, protein standards, and assays for clinical applications. Aviva has the assay development knowledge to take new biomarkers, develop, optimize and validate a kit in a clinical setting to meet any need that are currently unavailable through Aviva's catalog or via other organizations. Aviva maintains ISO13485 accreditation for the development, validation, and production of antibodies and proteins for use in FDA regulated or CE mark products. View our full selection of ISO 13485/CMO services below. Aviva has developed and manufactured antigens and antibodies for use in IVD's and also for assays used in development or testing of pharmaceutical and biotech products. Under the Aviva Quality System we work with clients in design control, development, validation, production, and testing of antibodies and proteins. 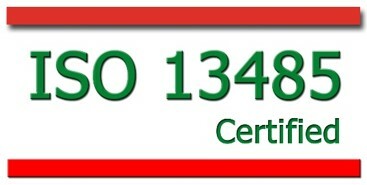 Contact us to learn how we can support your ISO 13485/CMO services needs.